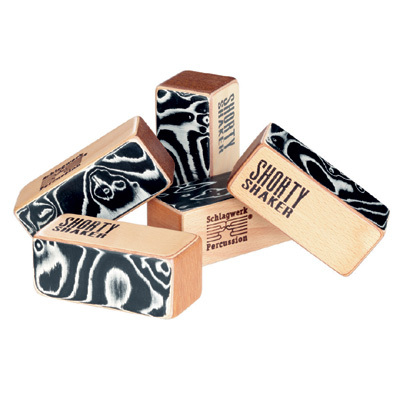 The Schlagwerk Shorty Shaker is made with Black Eyes veneer and features a two chamber system. The Shorty Shaker not only has an interesting design, it also produces a very controlled shaker sound. With its special chamber construction, the Shorty Shaker is the right choice for unplugged concerts. Size: 4.5 x 10.5 cm.